This blog series might be hard to read. Those of us who care for people during pregnancy and birth like to believe that if WE do everything correctly, the problems we currently have with high rates of cesarean birth and maternal mortality and morbidity would improve to an acceptable and comparable (to all other 1st world nations) level. The fact is that no matter what changes care providers and other birth workers make, without the “buy-in” and active participation of the patients, change will be very difficult and if this change is forced on an unwilling pregnant population it will increase providers’ liability. Do not take this the wrong way. This blog series is not blaming the women themselves for this big problem. It goes without saying that the reason women will naturally push back on these changes is because of the way maternity care has been provided to them for the past 100 years. Culturally, women have learned that they must surrender all decision-making regarding their mind and pregnant body to the policies of their care providers and the birth facilities, so their babies can be safe. Even though it is not reasonable to assume that all babies are in grave danger during birth, mothers will make decisions in the best interest to their children even if the risk is small. This makes mothers very easy to manipulate. 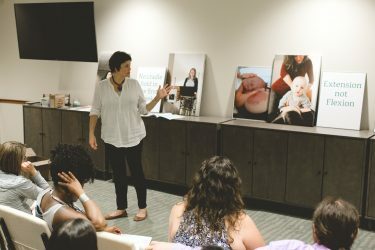 Changing the culture of childbirth will require a huge effort from many groups including birth workers, law-makers, women’s and mother’s groups, and social media. But before a problem can be changed, it first needs to be defined. That is what this blog series is attempting to do. 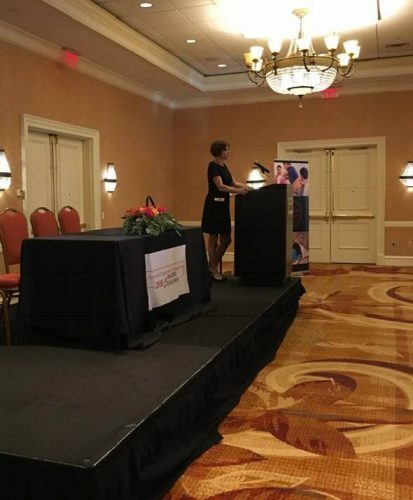 I recently spoke before the attendees of the New Jersey Symposium for Physiologic Birth. I started planning this talk thinking about what birth workers could tell women to do to avoid the OR – things like exercising, skipping dessert, paying for doulas, fighting for water therapies like showering and bathing in birth pools and avoiding epidurals. But the more I thought about it, the more I realized “the average American woman is not going to do these difficult things!” They surely have some idea that diet and exercise decrease their chance of cesarean but frankly, women in our culture will not do the tough work involved if they perceive no reason for it. Lowering the cesarean rate in New Jersey will not be easy. The biggest reason people will not cooperate is that they see no reason to change. They do not understand how much danger they are in. Most women have accepted the mainstream maternity care and believe it is safe. From their first prenatal visit, they recognize that there is a “system”, a certain way it is done, and that way is the best way to have the best outcomes. And even though many will express dissatisfaction with some parts of their care, overall, they are apparently comfortable with the status quo. There has really been no public outcry from the moms. No STRIKE on the conventional conveyor belt prenatal care. Long waits and short prenatal visits are normal. Providers are responsible for all outcomes and mothers having no responsibility is normal. Everyone knowing what she needs better than the pregnant person herself is normal. Not eating or drinking in labor is normal. Induction of labor is normal. Everyone’s labor being too slow and needing to be sped up is normal. Lying in bed during labor is normal. Artificially breaking the bag of water is normal. Pushing flat on back with chin to chest, pulling back legs with elbows off the bed while holding breath and counting to ten is normal. Cutting umbilical cords immediately is normal. Taking babies away from their mothers is normal. Not only do people believe it is normal, they believe it is SAFE. None of it is “normal” and much of it is unnecessary and certainly decreases the odds of a vaginal birth, ie. artificially breaking the bag of water when the fetal head is not in the pelvis can lead to cord prolapse, resulting in an emergency cesarean. Birth advocates who want more women to emerge from childbearing unscathed have a big job. Intervening in a normal bodily function is not only unnecessary but dangerous as evidenced by the rising amount of intervention directly correlated to the increase in poor outcomes. Maybe we need to read the stories of the women who had near-miss (nearly fatal) birth experiences. Not one of these women thought it could happen to them. Women need to fight for the decision-making and responsibility about prenatal care and birth to be shared with them. To lower the cesarean rate, women MUST reclaim their bodies for themselves and their families. It’s not going to happen overnight. Asking women to make decisions and stop relying on their decision-less, cookie-cutter maternity care will NOT be easy. But much easier if they realize that their faith in the current birth culture is unfounded. The media dribbles out information about poor birth outcomes in New Jersey. And pregnant women Google EVERYTHING but somehow the general public has no idea how bad it really is. This is a national healthcare crisis and it is NOT making the news in a way that would make everyone wake up and take notice. Clearly, people of reproductive age have failed to recognize the increasing maternal death and damage rate in the United States. How did they miss that our maternity care system is one of the poorest in the FIRST world nations and New Jersey one of the worst in the country??? Number of low-risk cesareans doubled in the past 10 years with no documented benefit for babies. Cesareans are most commonly done because of concerns for the fetus. Thirty-seven women die, on average, for every 100,000 live births in New Jersey, compared with 20 nationally. Women at greatest risk of placenta accreta are those who have myometrial damage caused by a previous cesarean delivery with either anterior or posterior placenta previa overlying the uterine scar. The risk of placenta accreta was 3%, 11%, 40%, 61%, and 67% for the first, second, third, fourth, and fifth or greater repeat cesarean deliveries, respectively (Source). New Jersey has the 7th highest number of Malpractice lawsuits in the country and OB/GYN’s are the most sued medical specialty which makes Obstetric providers practice more defensively and who can blame them? Women rarely sue for a cesarean they don’t need but often do when a vaginal birth has a less than satisfactory outcome (Source). The biggest risk factor for having a cesarean is the hospital a person chooses (Source). Women who were appropriate for a birth center birth, but elected admission to the hospital in labor instead, were twice as likely to have a cesarean (Source). How can they know these things and not seek a solution for themselves and all the other pregnant women in the country? Maybe if it is all written in one place, people in New Jersey will see the danger for themselves, their wives, their daughters, their sisters and their friends and start changing the culture of birth in our state and in our country. Pregnant women are NOT SICK and RARELY need medical care. All they usually need is INFORMATION to make decisions and to be monitored for normalcy. Intervening in a normal bodily function is not only unnecessary but dangerous as evidenced by the rising amount of intervention directly correlated to the increase in poor outcomes. As much as medicine needs to change, so does the current culture of birth. The Midwives of New Jersey recently hosted Christa Sakowski, Clinical lead for California Maternal Quality Care Collaborative to speak about the fabulous work the hospitals in the collaborative have done to substantially reduce the number of cesareans in their state. This is one of their education websites. I agree! Every woman must be educated about the real dos and don’ts of pregnancy in order to take care of themselves properly. Great post!